Babe, it must be art: Third time the charm! 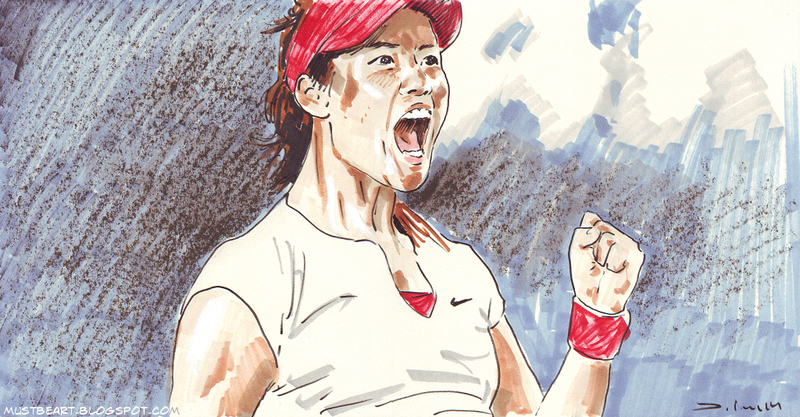 Congratulations Li Na for winning Australian Open 2014! It was her third Australian Open final so the old saying "third time the charm" was accurate. After an even first set, she demolished her opponent in the second, whipping winners from back and fore. Let this be a good year for Asian players overall!